This is one of our finest xeric ground covers. The woolly evergreen foliage creates a handsome, dense, gray-green garden carpet. In early spring the foliage disappears under a profusion of white-eyed, true-blue fading to lavender flowers. This durable, long-blooming perennial is not picky about its planting site; it thrives in any well-drained soil. 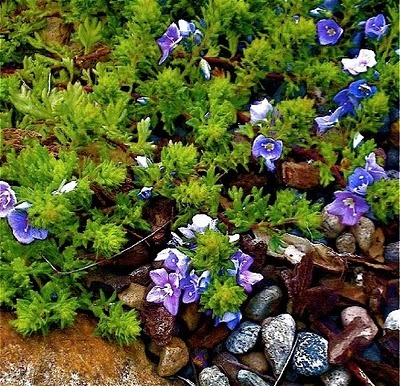 An easy-to-grow must-have ground cover for any garden.